Whether working from a home office or an office away from home, an efficient, inviting workspace is imperative for getting the most out of any work day. In addition to a computer, printer, fax machine, and phone, offices and workstations also need a desk, a chair, and shelving units or drawers for filing and storage. They may also require a desk organizer or two to keep track of paperwork, a wastebasket, and an extra table and chairs if necessary. Most office workers spend the greatest percentage of their day sitting at a desk in front of a computer, so it is very important to look for ergonomically designed products that can ease the stress and strain on wrists, backs, and legs. Ergonomically designed keyboards are designed to keep the wrists in a more natural position and reduce the incidence of repetitive stress injuries such as carpal tunnel syndrome. Padded wrist rests and mouse pads also help keep the wrists in proper alignment. Ergonomic chairs are designed to significantly reduce stress on the back. They should be adjustable with wheels for easy maneuvering and may or may not have armrests. Elevated footrests can be used to reduce stress to the legs while working at a desk. Where space permits, L-shaped desks not only create extra workspace, but allow the worker to comfortably swivel back and forth between the keyboard and pen and paper. The proper organization of materials and equipment can also help the worker avoid unnecessary strain and prevent wasted time. Desk organizers help organize papers into manageable categories such as "inbox" and "outbox". Shelving units can be used to organize reference material, and drawer units can be used for alphabetically filing paperwork. Electrical cords and cables should be routed behind desks and equipment when possible, to keep them out of the way and eliminate inconvenience and hazards in the workplace. 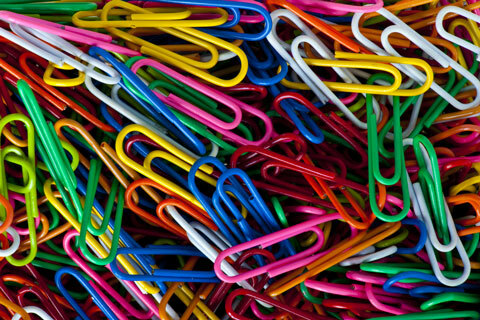 Organizing an office efficiently can save time and money, and most office products can be found at a local office supply store or ordered online. Here you will find a broad selection of business service and office product resources for busy executives and administrative staff. Address labels, mailing labels, shipping labels and label size table. Find batteries and accessories for your cell phone or PDA. Home office desks, chairs, tables, storage solutions and accessories. Multifunction printers and all-in-one machines. Office chairs, ergonomic chairs, and executive chairs. Vintage manual typewriters and modern electronic typewriters. Digital projector and video projection equipment guide. 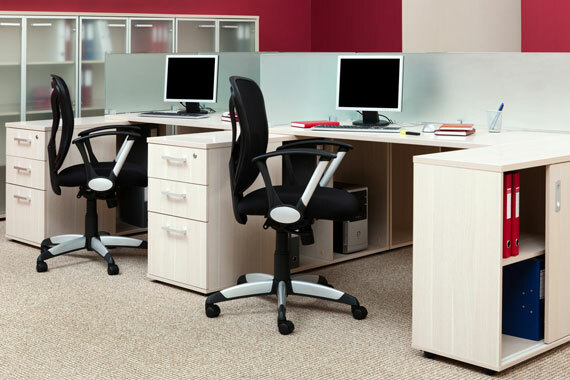 Directory of office furniture and equipment manufacturers and distributors in the USA. All directory entries include contact information, category tags, and website links. Directory of office supplies manufacturers and distributors in the USA. Each directory entry includes contact information, category tags, and a website link. Directory of office supplies retailers in the USA. Each directory entry includes contact information, category tags, and a website link.